Dimming the lights to make your business presentation is a thing of the past. 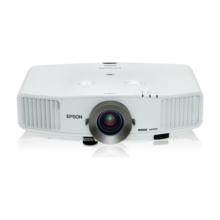 With powerful brightness of White Light Output and Colour Light Output; both at 2500 lumens, you can project crystal clear images in broad daylight and still be able to make that all-important eye contact with your audience. Extend the lifespan of the lamp with the refined E-TORL lamp, offering up to 6,000 hours of lamp life. Low power consumption of 0.4W in standby mode (when network is off). The following versatile connectivity, configuration and security options ensure you can connect at a wide variety of venues and settings, and give seamless presentations the way you want them, every time. 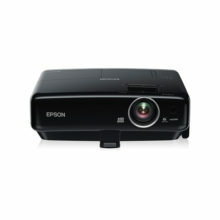 Project PC images wirelessly via an access point when the projector is connected to a wired LAN. Show images stored on a USB memory device. 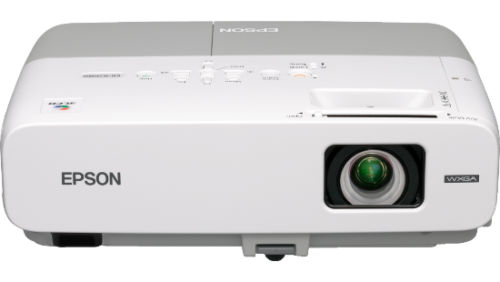 Make professional presentations without the untidy cables by using the optional wireless projection set-up. Avoid countless trips to the projector in large venue set-ups by monitoring and controlling the projector using a PC from a remote location with a LAN cable. You can connect a microphone directly to the projector and utilise its internal speakers for your presentation. Images are adjusted to suit the background when projecting onto a whiteboard or blackboard. 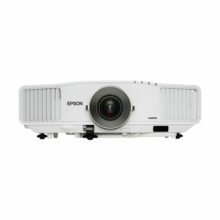 The projector supports 6 other colour modes: Dynamic, Presentation, Theatre, sRGB (Red Green and Blue), Sports, and Photo. The zoom lens enables the projector to achieve a large screen size with shorter throw distance, cutting down space between the projector and the screen. Locks all buttons on the main body, so operation is only possible using the remote controller. Protects against theft by tying the projector to fixed fittings using a security wire. Controls who has access to the projector with password requirement via remote controller at start-up. Protects against theft by securing the unit using a Kensington Lock. With Epson Document Camera DC-06, you can project images directly from text books, journals, manuals and even 3D objects with detailed projection on the screen. It connects easily to the projector via a USB cable without the need for extra power. 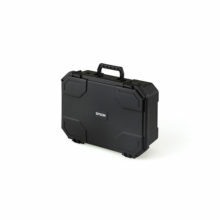 Highly compact and lightweight, you can easily pack it with the projector when you need to be on the move.